The sound you want and nothing else. 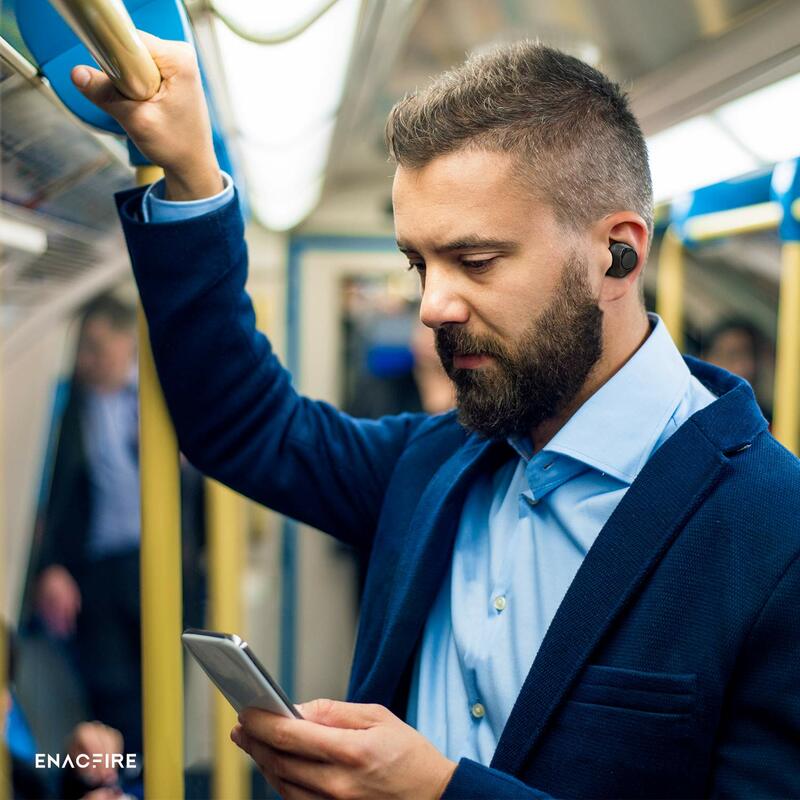 Thanks to enacfire’s advanced noise canceling technology, you can hear your music even in less than ideal environments. Super Heavy bass allows you to turn up when you want to tune out. 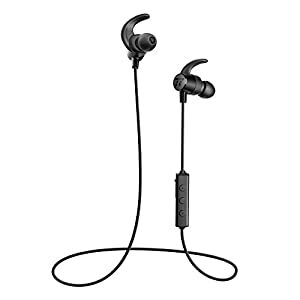 Comfortable material fits perfectly in your ear – no adjustment, no irritation or discomfort. 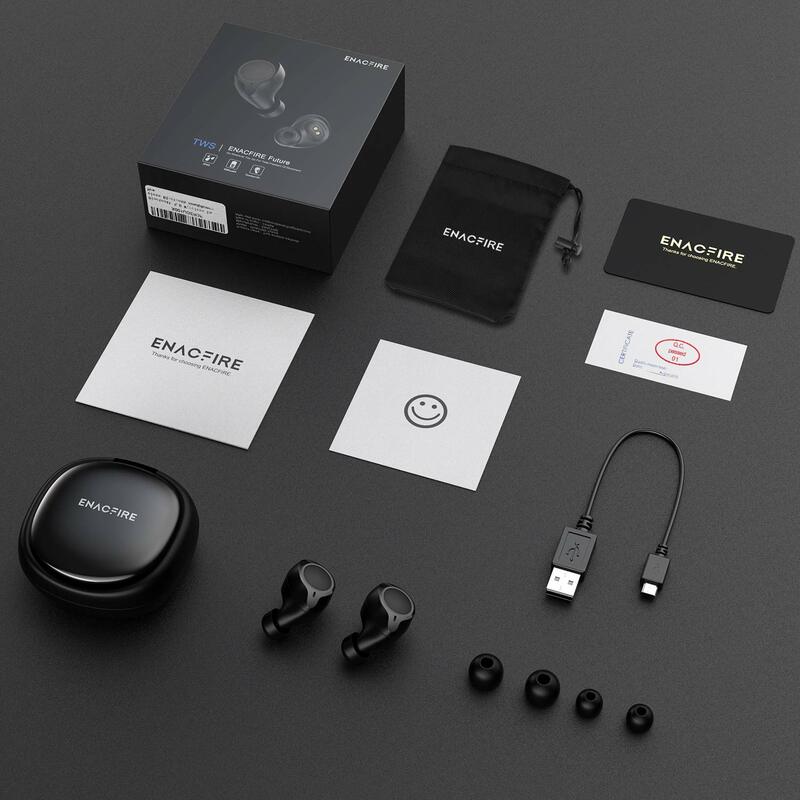 Charge on-the-go for 18 hours of play with enacfire’s portable charging cabin. This innovative charger lets you charge 4X, giving you additional 14 hours of play. 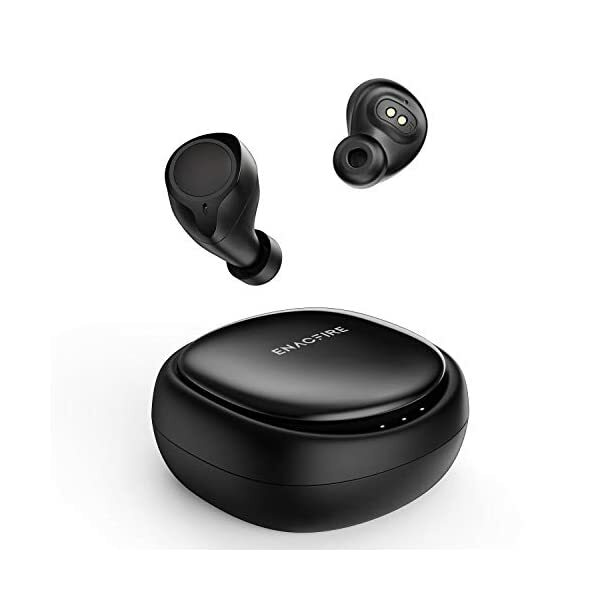 Ideal for everyday life and extraordinary days. Take with you while you commute, workout and travel across the country – even around the world. 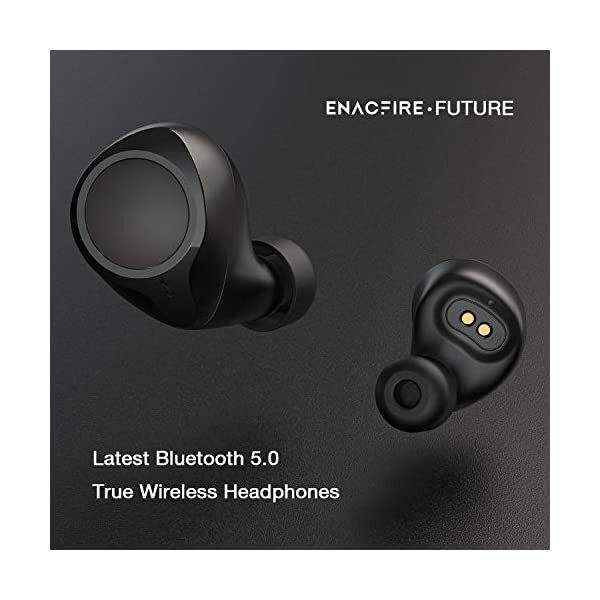 ENACFIRE is committed to providing people with best wireless audio products and build a totally wireless lifestyle. 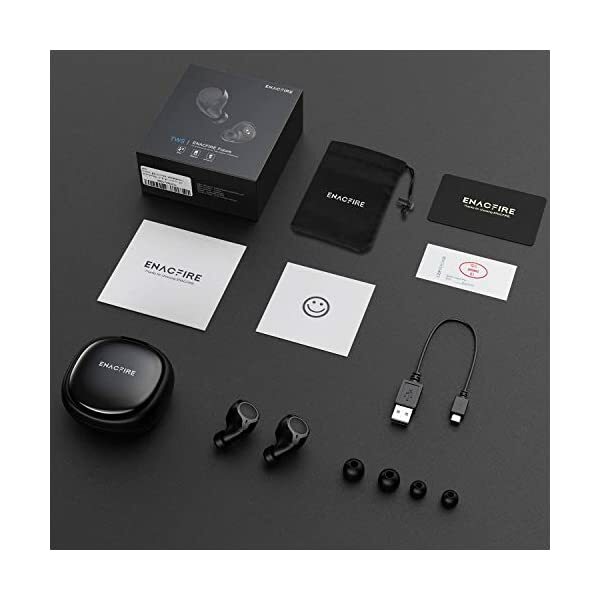 Wireless life is a trend, a new proposition. Easy link, simple live. 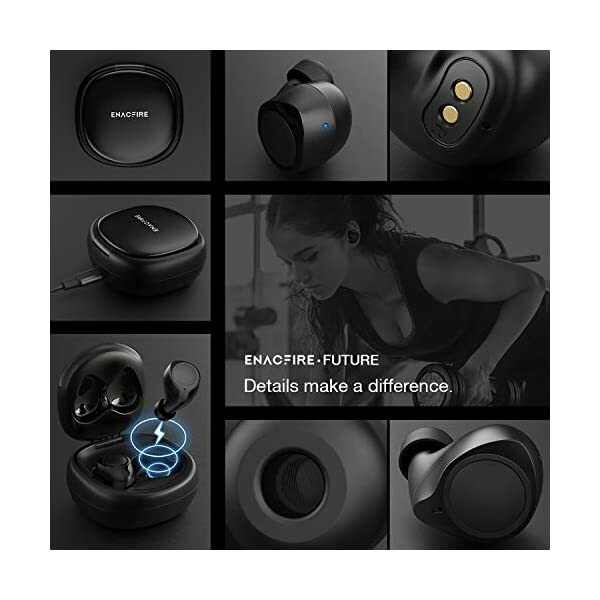 True Wireless Audio Experience. 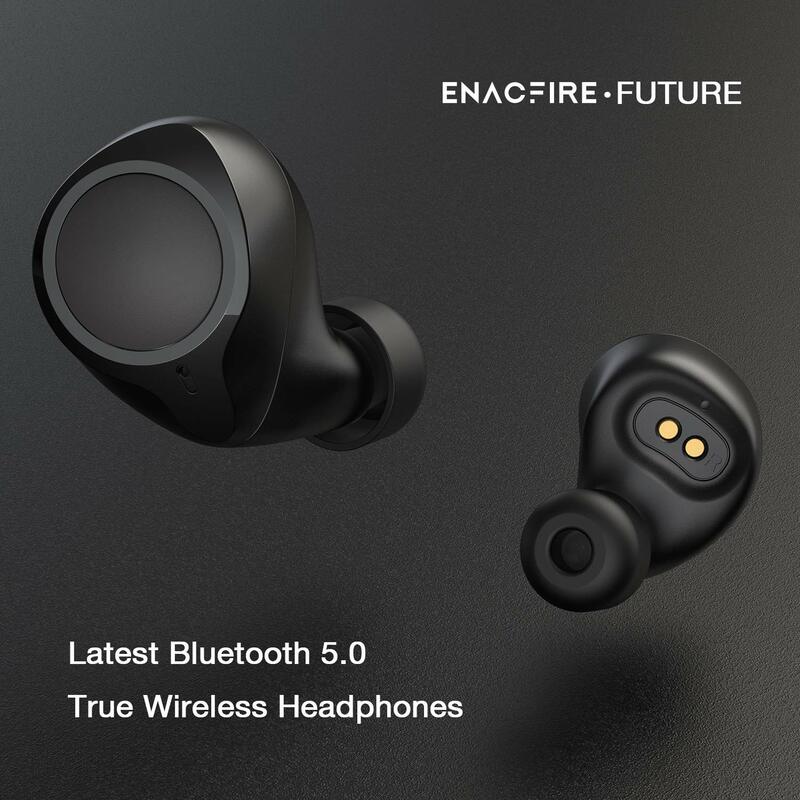 THE REAL WIRELESS EXPERIENCE is what you’ll get when you use ENACFIRE earbuds. THE SOUND YOU WANT AND NOTHING ELSE. 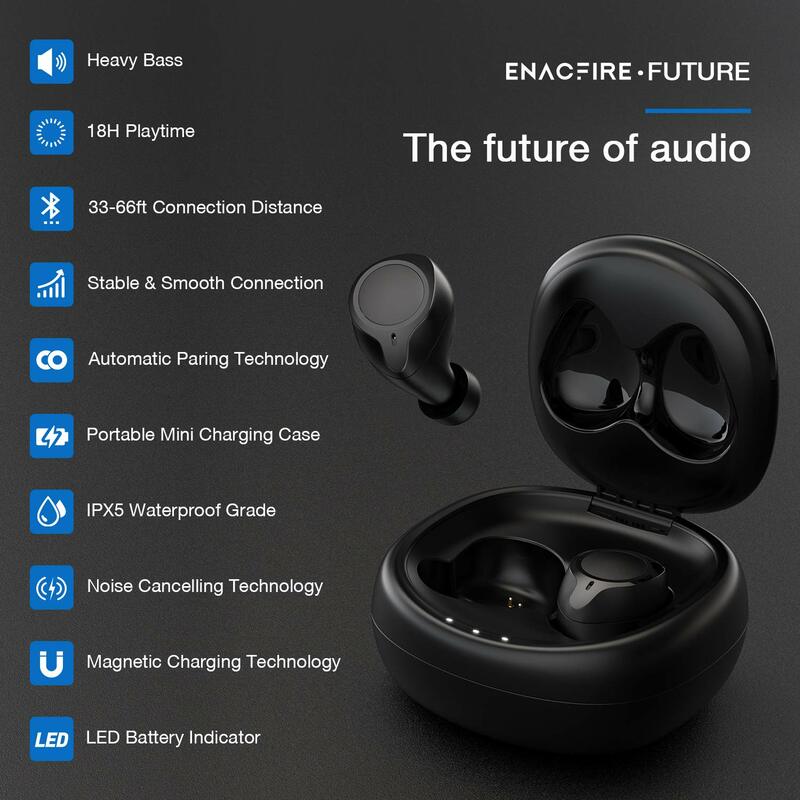 Thanks to ENACFIRE’s advanced noise canceling technology, you can hear your music even in less than ideal environments. Super heavy bass allows you to turn up when you want to tune out. 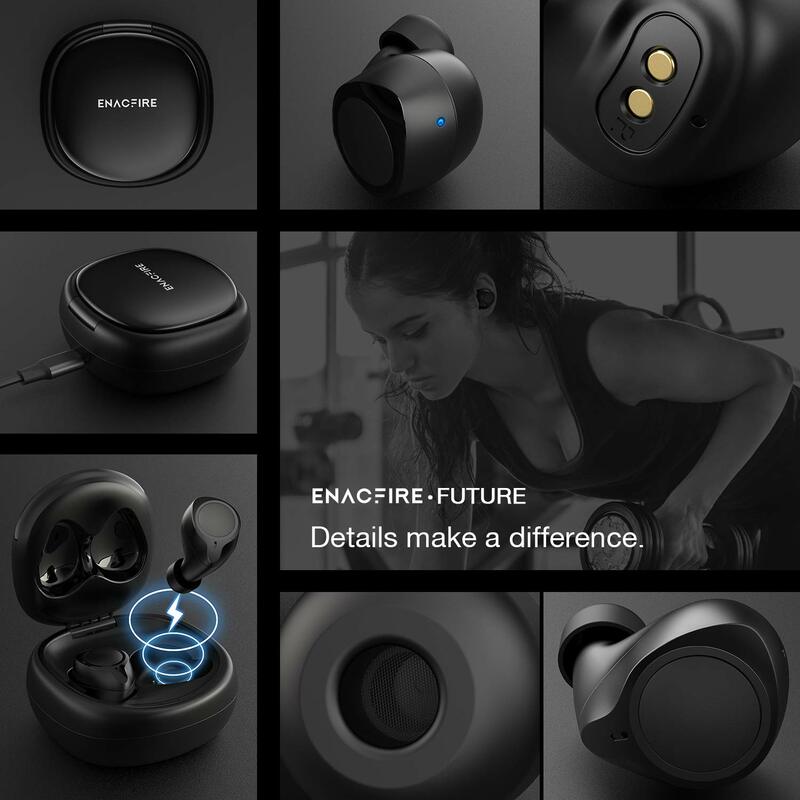 CHARGE ON-THE-GO FOR 14-18 HOURS OF PLAY with ENACFIRE’s portable charging cabin. This innovative charger lets you charge 4x, giving you additional 14 hours of play. 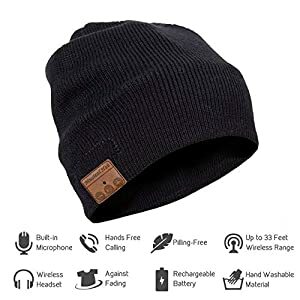 Ideal for everyday life and extraordinary days. 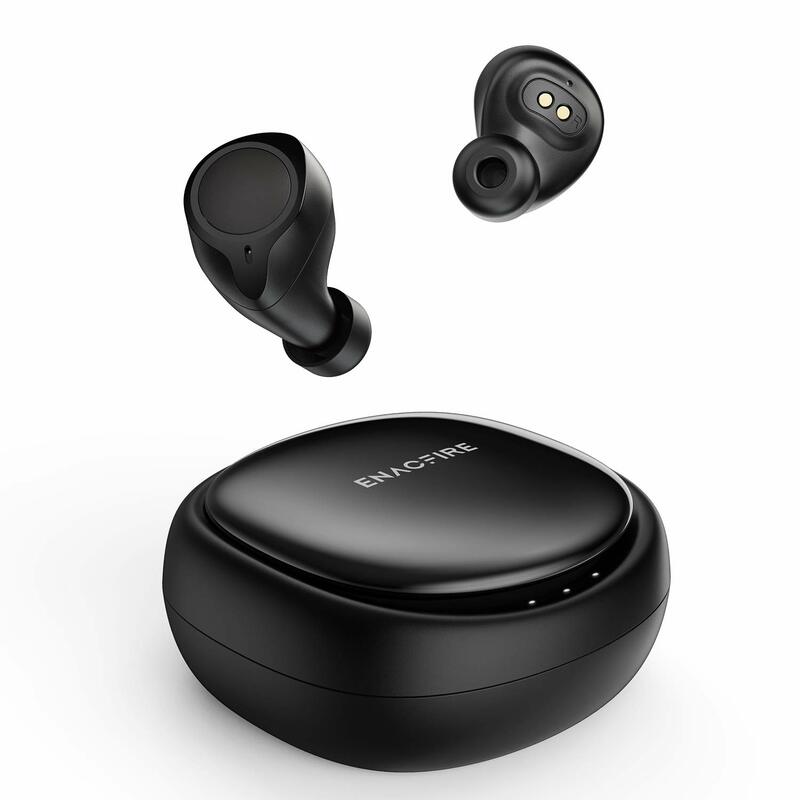 BLUETOOTH YOU CAN COUNT ON. 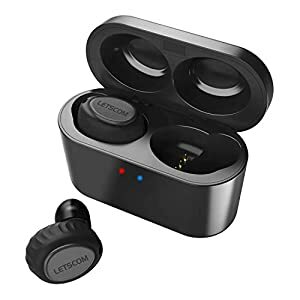 These wireless earbuds have an impressively stable connection signal all the way up to 33-66 ft.
Use them around your home and your office without worrying about interruptions or technical difficulties. 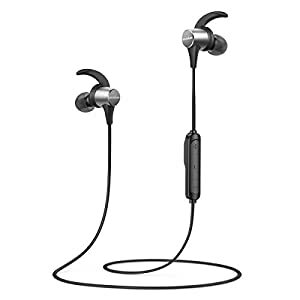 IPX5 WATERPROOF PERFORMANCE means you can take your earbuds with you to the gym, poolside and while exploring outside. 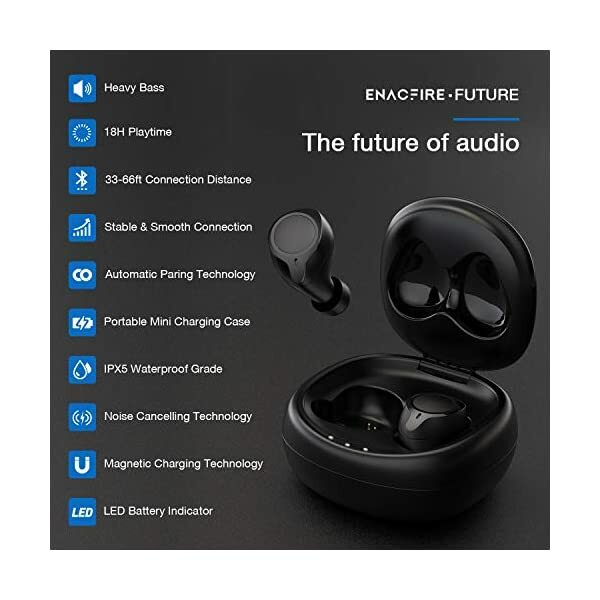 Only ENACFIRE wireless earbuds can give you this type of performance for a truly uninterrupted, enjoyable experience.